After his wife turned terrorist, Simon Redfall thought his life couldn’t get any worse. On the lam and all alone, Redfall risks his life to attend the public execution of the woman he once loved. The only reward for his sympathy is an angry mob trying to tear him to shreds. 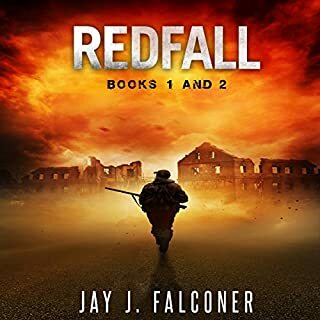 When a deluge of red rain begins to fall, Redfall is pulled to safety by eccentric preppers and asked to join their mission to uncover a global weather conspiracy smothering the planet. As the red storm clouds spread, so does trouble when power grids falter, militants weaponize, and world leaders start pointing fingers. Rated R for violence, language, sexual situations, and bloodshed. Follow Simon and his teenage counterparts as they uncover more of the truth. I will try my best not to write any major spoilers to the first book, but I make no promises since this is a direct continuation. Characters who are alive or not may be mentioned. If you have not read the first book, I would recommend you do so before you begin to read this review. 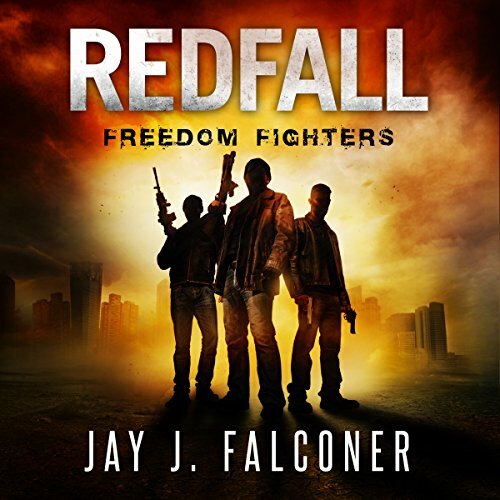 Redfall: Freedom Fighters picks up where the first Redfall book leaves off. The kids from Pandora are trying to gather information and work with Simon Redfall to figure out their next move. Wix’s brother’s camp has been attacked and now we must find out if he has made it or not. All the while the red rain still continues to fall. Gary Tiedemann did the narration for Freedom Fighters and he did a fantastic job, just like the first book. Using different voices for different characters allows the listener to follow along easily and without confusion. I'm glad that Falconer is working with Tiedemann -- he has the perfect voice for Simon and gives the kids and other characters great voices too. Freedom Fighters answers a lot of questions from the first novel, but still leaves me asking some more when it finishes. And saying "finished" is a strong word to use as Falconer also leaves this book pretty open. I 100% understand that reasoning behind ending it where he did from a trilogy standpoint. But to me as a reader, I felt a little bummed out that I have to go and get the last book to get an “ending.” At least, I hope that there is some sort of conclusion in the third book. With that being said, I still really enjoyed Freedom Fighters. Falconer really sucked me in with the first book and I feel for the characters and the unique plot. Well, this picks up where it left off and doesn’t really take his foot off of the gas until the book ends. Overall, the story was just as interesting as the first Redfall book. 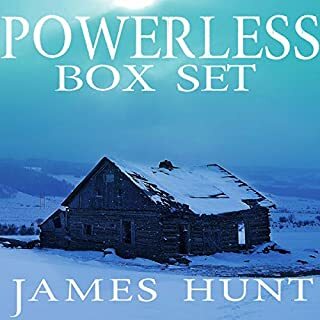 Allowing the reader to be taken along for a thrill-ride full of undercover meetings, the mysterious red rain, the clouds, all their stored energy, and kids who won’t back down from a fight. Redfall: Freedom Fighters was a wonderful continuation of the series and I cannot wait to hear the third book! If you found this review helpful, please vote for it! If you want to see more like this, please check out BriansBookBlog DOT com. This book is a continuance of book 1 and moves the action right along. While there are different characters, the plot is easy to follow. 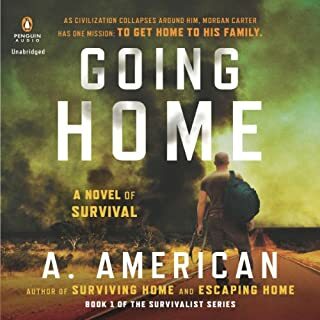 If you are an action adventure book lover, this is a very solid choice. The plot is good and the narration is good. 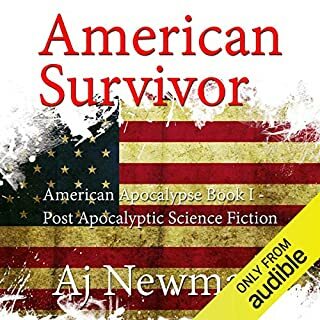 I received this audiobook for free from the author, narrator, or publisher for free via audiobookblast in exchange for an unbiased review. This book is well worth reading and I would consider buying this book if I did not get a review copy.It actually is really good. You need to read book one. Jay doesn't rehash who is who and what their ties are in book two. So having that under your belt will go a long way. The characters don't disappoint, they are all up to the task at hand. This story would be sci fi fantasy if it wasn't for the fact that I could easily see this down the road. When you think about it, chills should run down your spine. Another great story, Thanks Jay! I devoured book 1 and couldn't wait to jump into this one!! Well, this was as good, if not better, than book 1. 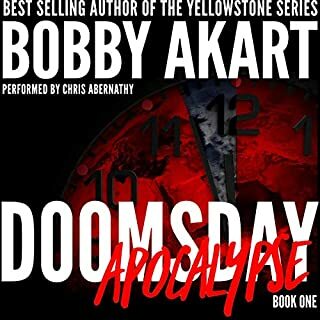 Action packed, edge of your seat, exciting and addicting read!!!! This starts where book 1 left off and we are drawn into the action straight away. Simon is helping the gang at Pandora set up a faraday cage because he knows that something may happen to the electronics and wants them to be safe. While this is ongoing, someone approaches the house saying they have been sent from Tally’s brother, Wyatt's, compound and that it is under attack. Tally wants to leave there and then but before they can, some military men have come on the scene saying they need Simon's help. What follows, is layers upon layers of stories, that accumulate into an absolutely breakneck story. Character wise, we have all the same players but with some interesting new ones thrown in. Again, each of them are well written, developed but most importantly, easy to like and become invested in. Tally and Simon are amoung my favourites!! Plot wise, this is such an entertaining, suspenseful and gripping read that I need book 3 ASAP!!! The author know show to tell a great story and how to keep the reader on their toes. We see some of the questions we had from book 1 answered but we are also left with more! The series promises to have an explosive finale and I can not wait!!!! Gary Tiedemann knows this story and knows how to tell it properly. He has the right inflections to portray the tenseness of the book perfectly and knows when to ramp up the tension. He is a narrator to watch!! Where does Redfall: Freedom Fighters rank among all the audiobooks you’ve listened to so far? Something a little outside the norm post apocalyptic story. I really liked the story and got into characters but here we are a year later and no next book. Author has released another series but this story has come to a screeching halt. I don't like to be left hanging. I realize a good story line takes time to develop but really doesn't make me want to read another of same authors series just t be left hanging. Redfall - Freedom Fighters is the second installment, and I think it was better than the first. The story takes place in a future where the world has transformed into a more dangerous place. 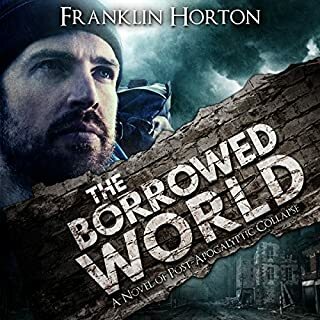 Book 2 starts where the first story left off and does a great job of going much deeper into this new world. Again - Jay Falconer did a fantastic job making this future landscape seem very real. The story was not predictable at all - I thought I knew what was going to happen but was surprised where it went. I am glad Gary Tiedmann (Narrator) was back, and he did a great job. This was a really interesting story and I highly recommend. The red rain continues to fall and our team of &quot;freedom fighters&quot; continue to look for cause and effect. Then the color spectrum goes from red to pink and the world witnesses an intense and colorful lightening storm; essentially a gigantic light show. Anti-gravity effect made itself known and everything not nailed down, including people, floated 12 inches into the air. As suddenly as it started it stopped. The sun came out and the sky returned to its usual blue. Is it over? Heck no, read on. A confrontation with the Carnegie Brothers and a visit with the Amish are next on the list. An exciting conclusion leading to book three, Shadow Realm, when available. what the book is based off of it turns out to be a pretty good story line the few pretty far-fetched parts that I was not a fan of. what are the biggest pet peeves of mine in this whole book was they keep referencing Western Pennsylvania but they're located in Lancaster Pennsylvania and if anybody knows Pennsylvania you'll know that's the Southeastern section of the state. its q brilliant story but only half the book. costing me a fortune to gear one story.